I’m trying to create a keyboard shortcut to run the shell command pmset displaysleepnow so I can do something like cmd+shift+L to lock my screen. 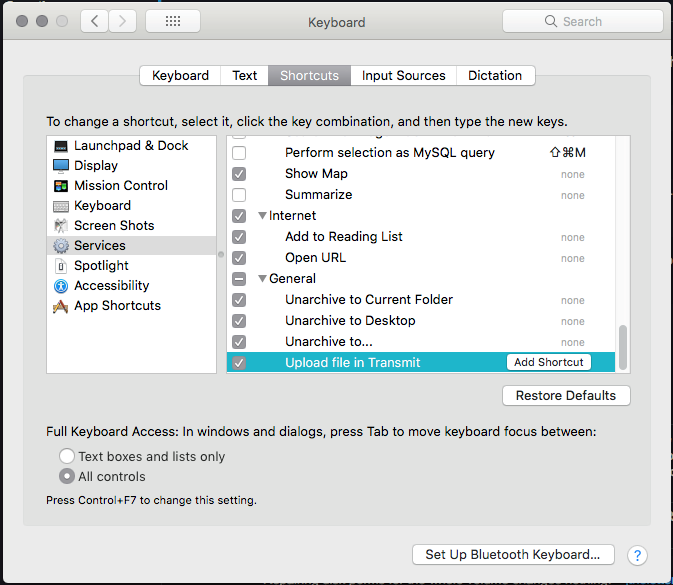 However, after I create the Automator service and save it to ~/Library/Services it still doesn’t show up in System Preferences > Keyboard > Shortcuts > Services > General or anywhere else under the services tab. I have tried rebooting and creating new ones but it just doesn’t seem to want to show up. This is my first time creating an Automator workflow so I am not sure if I am missing a crucial step. I ran the test and it successfully locks my screen but now I am scratching my head as to how I am gonna get the service to show up as an option. Any suggestions? ^ ⌘ Q is a system shortcut for locking the screen; it already exists. 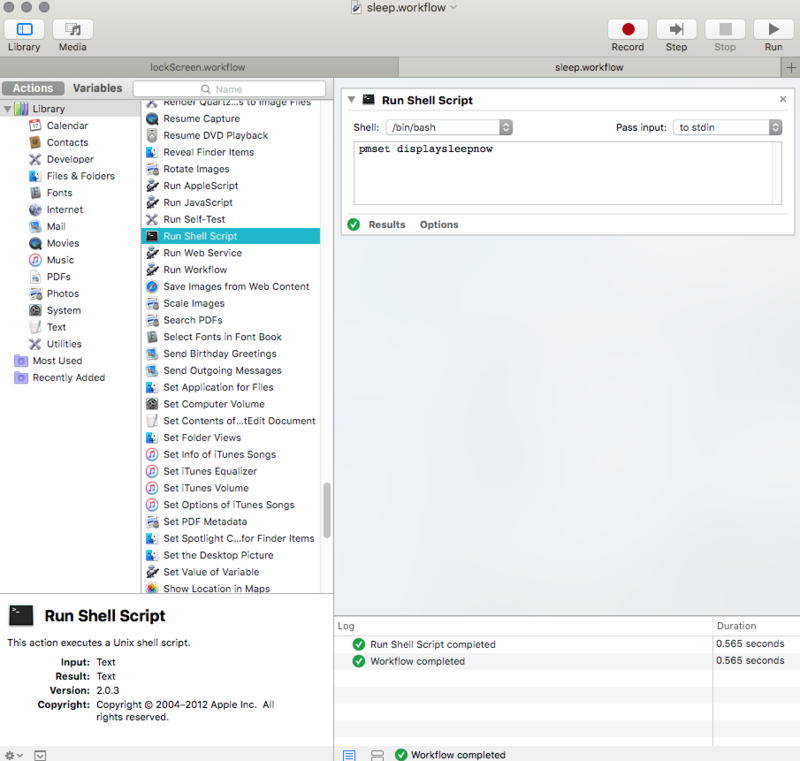 I can’t help you with the automator workflow, I haven’t used automator for anything like that in years. I would just set up a hot corner for sleeping the display personally. Yeah, I have hot corners setup (bottom left to lock) I just prefer the key combo to lock and have been trying to find an excuse to try Automator and a KB shortcut to lock the screen was my first idea. Also, doesn’t cmd+shift+Q log you out, not just lock? ^ is the symbol for control, not shift, on macOS. You are correct, shift ⌘ Q is the shortcut for log out. Apple used to print the symbols on the keyboards. Now they just use the symbols on the menu bar, and expect users to know what they mean. I blame Jony Ive and his obsession with clean design.